Breakfast is always a favorite meal around here. 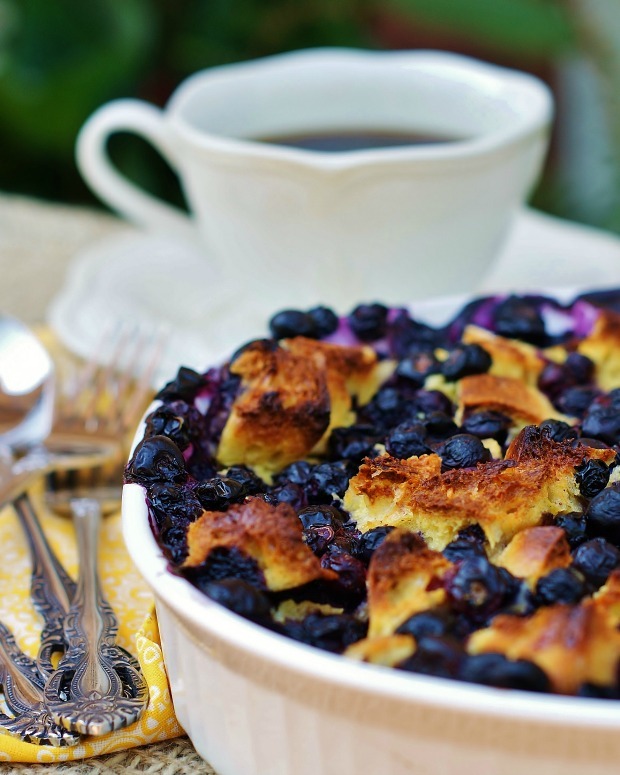 Breakfast for breakfast, breakfast for supper, brunch… There is never a bad time for breakfast, especially when it’s as easy as this Make-Ahead Blueberry Breakfast Bake. 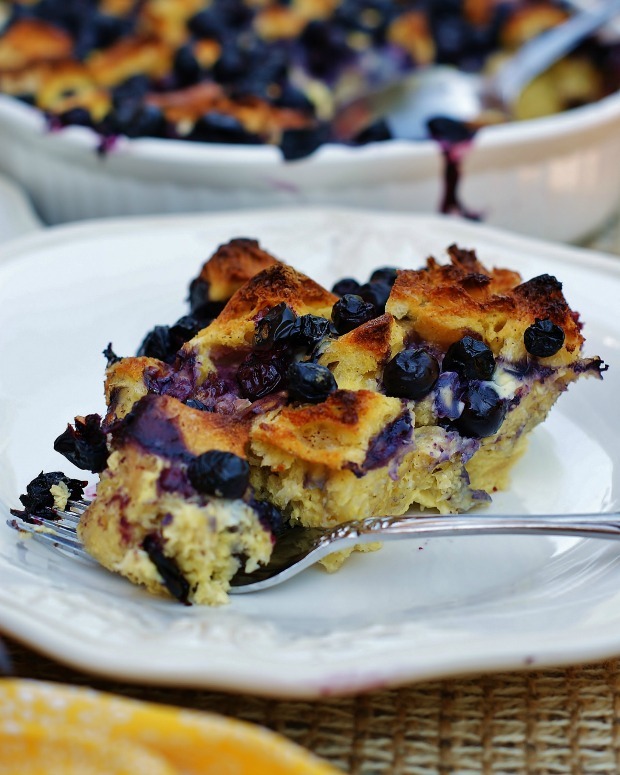 It’s a little bit french toast, a little bit blueberry pancakes and every bit exactly what every breakfast and brunch table needs. 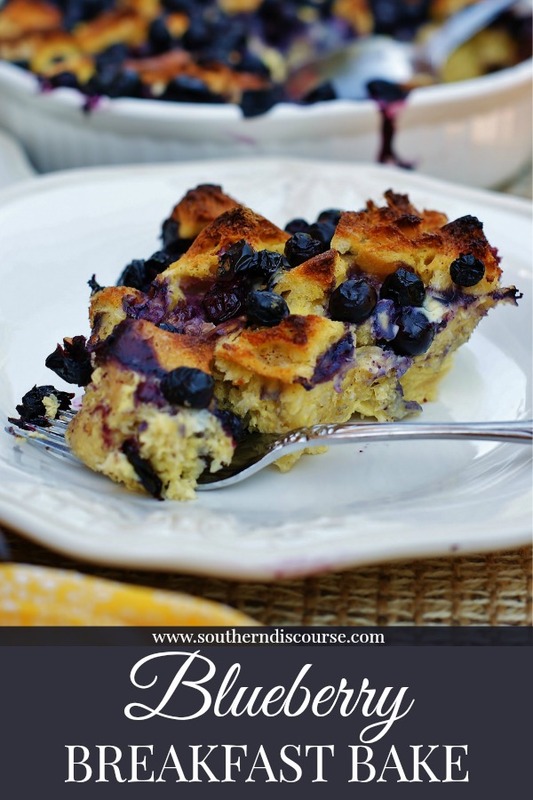 Full of plump, ripe blueberries, golden sourdough, eggs, sweet cream and a hint of cinnamon and vanilla, this simple breakfast casserole is one of those comfort dishes that everyone loos forward to having! I made this dish earlier this week while at my parents for a big family breakfast. 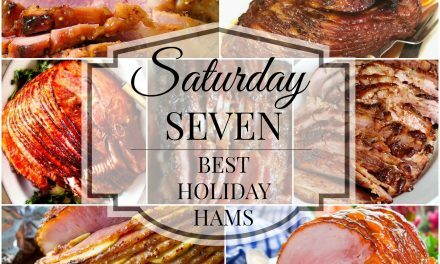 It was a huge hit, especially since it was so easy to whip up and allowed us plenty of time for visiting. I whisked together the eggs, cream, salt, cinnamon, sugar and vanilla in a large bowl, and Mom roughly cubed a loaf of sourdough. 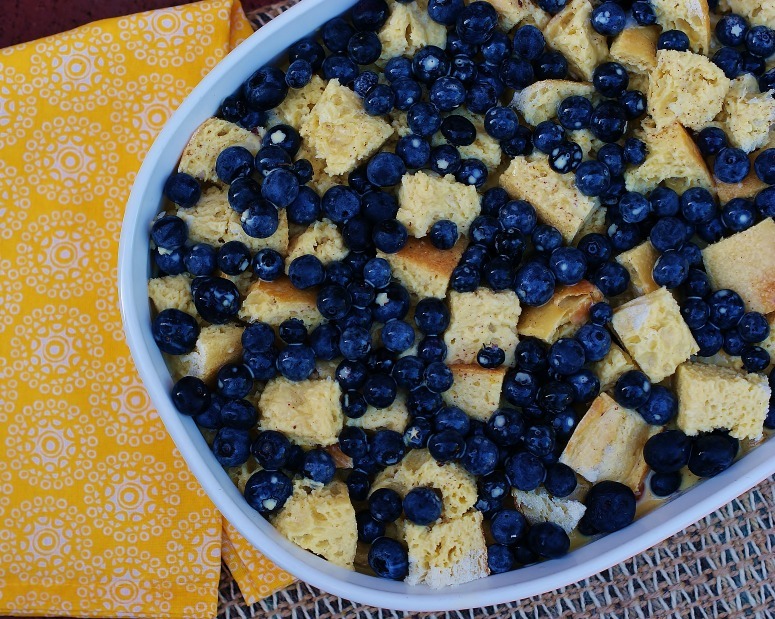 We arranged the sourdough in the bottom of a buttered 9×13 baking dish, poured the egg mixture over it and then piled in as many fat blueberries as the cracks and crevices of this casserole could hold. Covering it carefully, we stored away our breakfast bake in the fridge so the sourdough could soak up all the eggs and cream it could hold. We let it soak for 30 minutes (just the right amount of time for a little visiting and cup of coffee on the patio), but an overnight soak in the fridge works great too! Then 35 minutes in a hot oven while Mom cooked up sausage rendered this golden gorgeous number just begging to be spooned out on waiting plates. 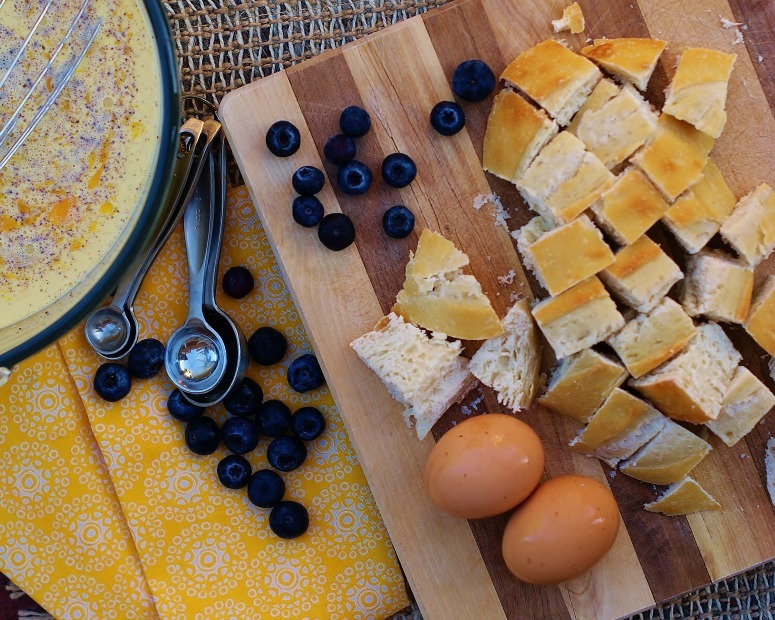 Blueberries bursting and bubbling, sweet cream and eggs married with the sourdough… oh, and the aroma! This wonderfully simple dish never disappoints. It’s a feast for the eyes and nose, as well as the belly. 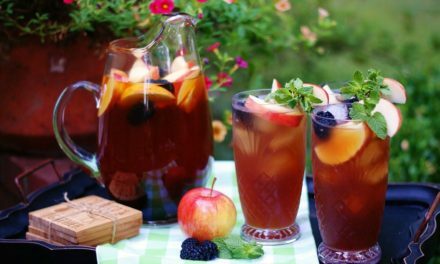 Serve it up just like it is or pour a little maple syrup over your little slice of heaven. 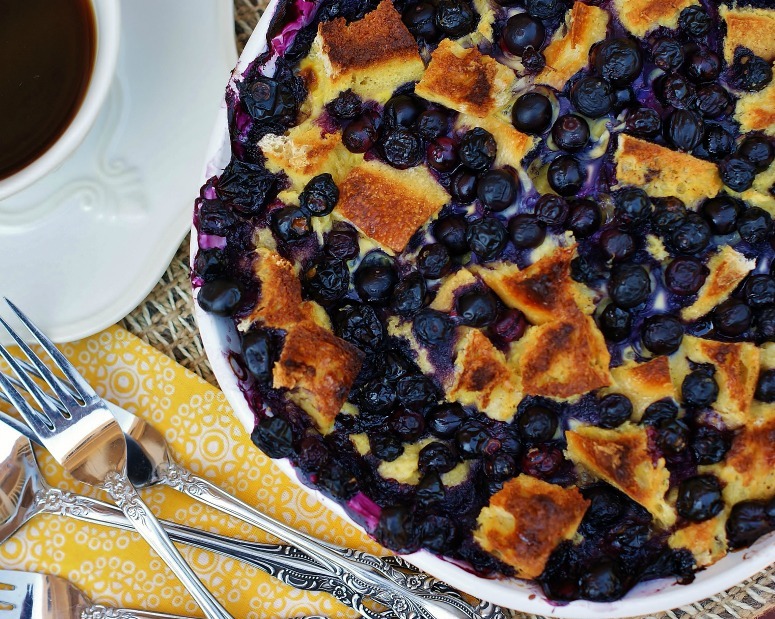 Either way, this Make-Ahead Blueberry Bake is just about as good as family time around the table can get. 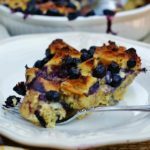 Ripe blueberries, sourdough, sweet cream and eggs bake together to make a wonderfully simple breakfast casserole that's perfect for breakfast or brunch. Preheat oven to 450 degrees and generously butter the bottom of a 9x13 baking dish. Whisk together eggs, cream, sugar, cinnamon, vanilla and salt in a medium mixing bowl and set aside. Arrange the sourdough cubes in the bottom of the buttered baking dish. Pour egg mixture over the top of the bread, making sure to pour some mixture over each cube. 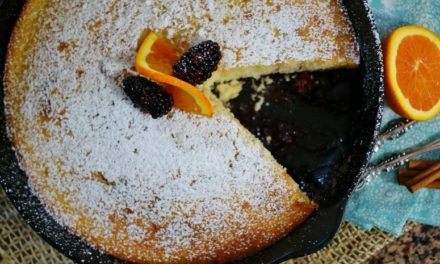 Top with blueberries, filling all of the cracks and low spots in the dish. Cover with plastic wrap and let soak in the refrigerator 30 minutes (minimum) to overnight (maximum). 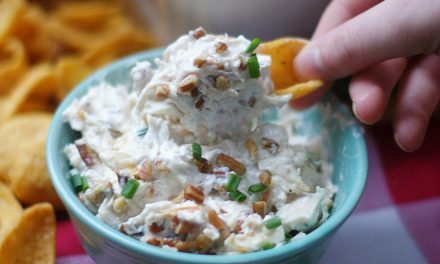 Remove from the refrigerator and bake for 35-40 minutes. If casserole has soaked overnight in a glass dish, let dish come to room temperature before baking to avoid cracking the dish in hot oven. Blueberries always bring such great color and flavor! Hard to go wrong!